The development of the Cartesian Coordinates system, and linear and non-linear equations, by the mathematician who fled the small hometown that now reveres him. It was in this small French town in 1596 that 'The Father of Philosophy' was born. Back then the town was called La Haye, but it has now been renamed to commemorate this radical thinker who once stated "I think, therefore I am". It is now called Descartes. René Descartes studied mathematics, science and philosophy throughout his life. He was part of a scientific revolution that rejected the idea that the Sun revolved around the Earth. A revolution the Vatican, home of the Roman Catholic Church, strongly disagreed with. Descartes feared his ideas would not be accepted in Catholic France so he moved to Holland: a Protestant country. While in Holland, Descartes made the monumental step of combining algebra and geometry. His theory was that any point of a geometric shape could be found using an algebraic formula. In two dimensions each point can be described using the values denoted by letters x and y. One to describe the horizontal position and the other to describe the vertical position. As this point moves, the values of the coordinates change. Crucially, though, Descartes worked only with the x-axis. He used formulae to find the y coordinate for any shape. This is an example of a linear equation – it describes any point on a straight line. But Descartes also applied non-linear equations, to shapes such as parabolas and hyperbolas. 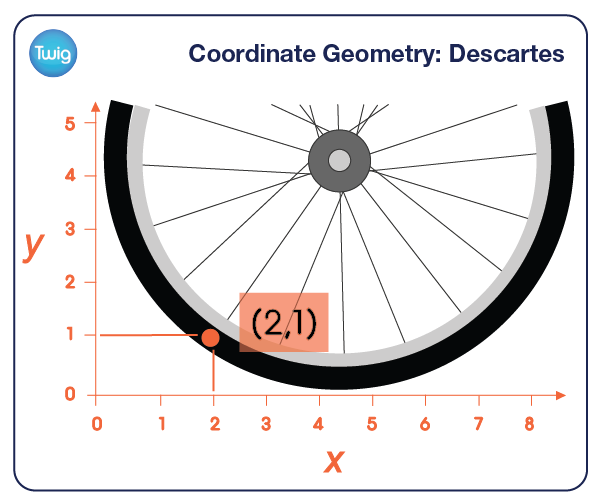 Descartes' description of space using the x and y co-ordinates heralded the birth of the Cartesian Coordinate System. Today, a y-axis is included on graphs as standard, purely for ease. 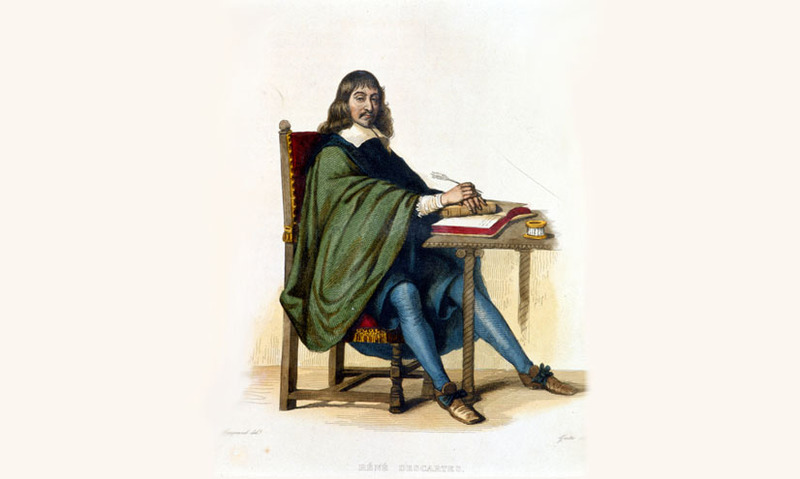 Descartes contributed to many of the eminent theories of the 15th century, in science, maths and philosophy. He is known as one of the great minds in history, and has not only been accepted, but immortalised in his small home town.